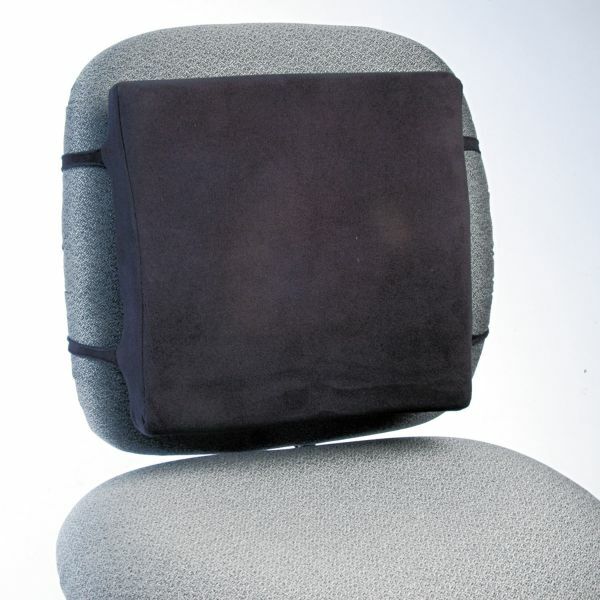 Rubbermaid Commercial Back Perch w/Fleece Cover, 13w x 2-3/4d x 12-1/2h, Black - Medical-grade, open-cell foam back support provides much needed support for extended sitting. Back perch includes removable and washable Polartec fleece cover. 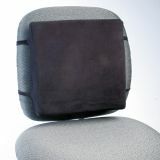 Double straps on cover secure back support to most chairs.